and Deborah Wilson. Both are registered BMI artists/songwriters. They write, record, engineer and perform a mix of top 40, pop, dance, country, rock and electronic music with a unique vibe. They also write some novelty tunes like “Boost it” that they have directed toward the commercial and advertising markets with a specific theme in mind. Corrine Preno began to sing at the age of 4. Music was her destiny. She started playing guitar at age 11 and was performing live at the age of 14. She is now a multitalented multi-instrumentalist and professional performer. She writes, mixes and engineers all her own music. Deborah Wilson has always had a passion for music. She studied flute and guitar and was college trained in classical music. She started out performing live as a DJ and became influenced by the pop and dance music she was playing. She joined up with Corrine Preno to collaborate and write dance music that they feel is unique and on the cutting edge. 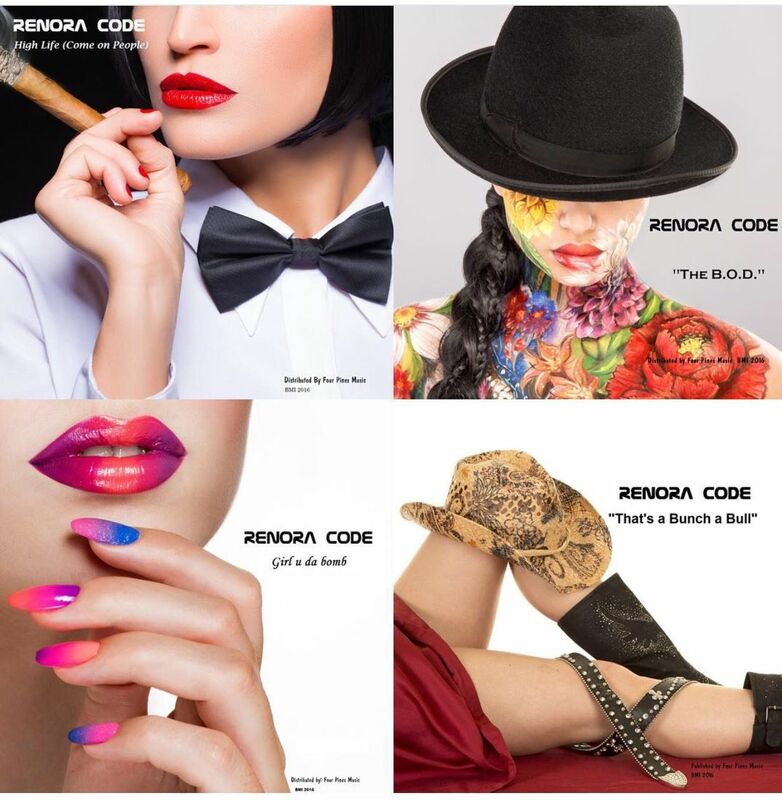 Renora code is a top listed performer on Reverbnation and has thousands of fans throughout the world. They are under the management of Four Pines Music.